About this time every year, I also taste through the new releases from Adelsheim. This pioneering Oregon winery is at the top of its game (as are Ponzi and Eyrie, to name two more). Along with the widely-available Willamette Valley and Elizabeth’s Reserve bottlings, Adelsheim bottles a half dozen single vineyard Pinots, sourced from estate vineyards and other sites that comprise the blends. These are more specific in their flavors, more particular to their terroirs, more crisply defined in their styles, and a bit more expensive than the other two. Are they better? I would have to say they are different, interesting, and quite well made, but not better. 15,124 cases were made of this racy and refined wine. Tangy raspberry fruit carries a luscious streak of smooth, dark chocolate, and the espresso-drenched finish is fine-tuned and nicely detailed. A stitch better is the reserve, which Adelsheim calls “the best barrels from our best lots.” No argument from me – this is my favorite of the flight. Supple and streaked with chocolate and caramel, this explosion of cherry and cassis, cola and Dr. Pepper, has richness and depth. 4421 cases were made. Among the single vineyard offerings, most quite limited and sold through the tasting room and wine club, I found it hard to pick a favorite. All were distinctive – most notably the Winderlea – and well-defined. There is a clear purpose to making these wines individually, but I most appreciate the fact that the winery puts such attention and effort on the two blends. 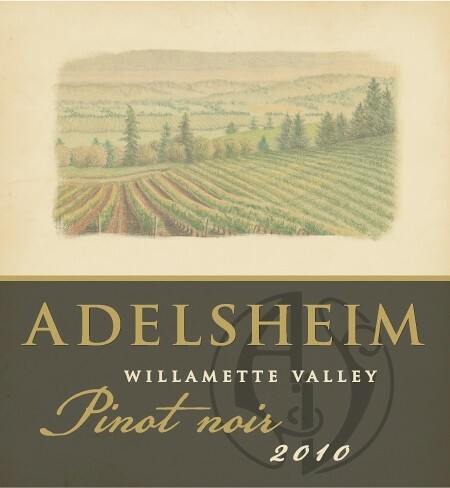 In 2010 Adelsheim has shown just how elegant and refined Oregon Pinot can be, and it will be a joy to watch these wines evolve over time. Adelsheim and Ponzi have been 2 of my favorite OR pinot producers for a long time. I miss the days when you could pick up some awfully good stuff for $20.00/btl. Dinner at Whoopemup was great last week. Paul, what do you think is the drinking window for most OR Pinots, and does a cooler vintage like 2010 alter that window at all? Thank you. Chris, the drinking window is dependent on vintage and overall balance. I think 10 years is a good average but some can go much longer. A vintage like 2009 however is probably best drunk young. Frankly, I've tried through several 2010 Adelsheim Pinot's and I couldn't disagree more. I found the 2010's in general to taste like candy and are just such a departure from previous vintages.